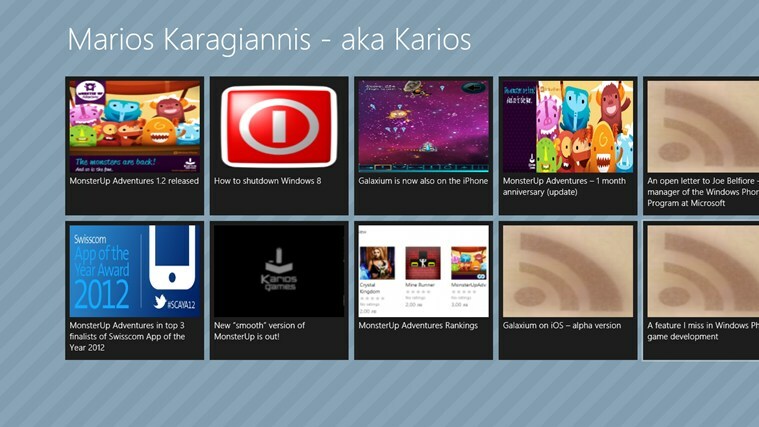 My first game for Windows 8 Store has passed certification today. Couldn’t be happier. Well, I will be happier when the second one passes certification also (I have 3 more games in the pipeline plus 1 small app that is still awaiting certification). 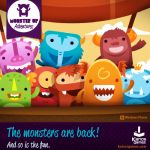 The new game is MonsterUp Memory, a simple cards memory game that can be played by 1 or 2 players for some extra competition if the clock isn’t enough. 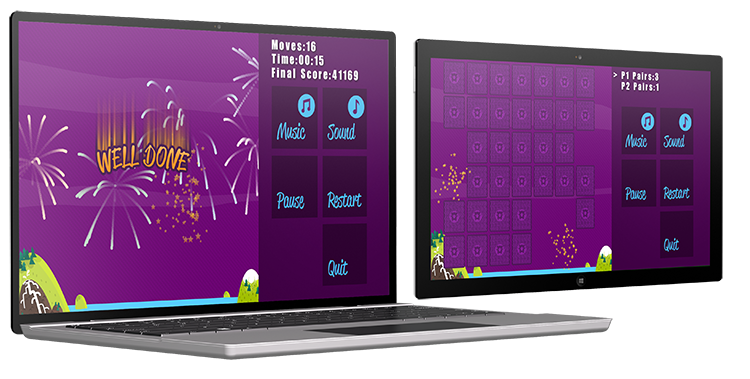 It features awesome graphics based on the MonsterUp series, nice happy music, fast and fluid graphics (plays great with mouse and touch) and a live tile that gives you the results of your last game. It’s nothing really special, I am still trying to figure out all the new technologies for Windows 8, but it’s a good start, I am happy with how it turned out. 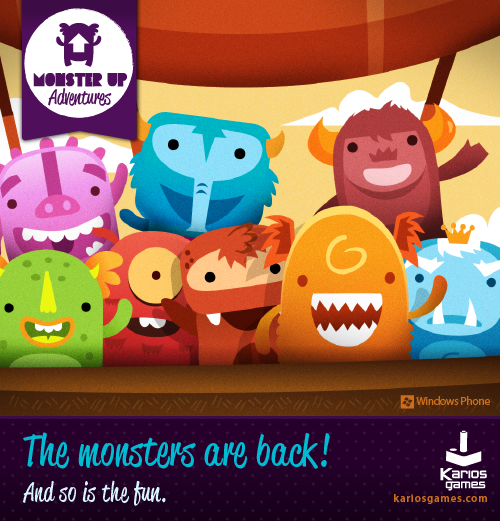 For more info about the game, please feel free to visit the official website here. What do we say? Well, welcome to Trelloland Felix! It should be in your phones in less than 24h! Enjoy! 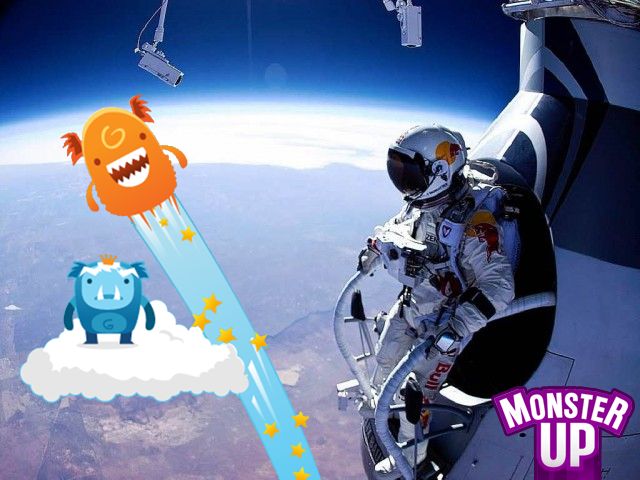 MonsterUp Adventures has the honour to be included in the top 3 finalists for Windows phone in this year’s Swisscom App of the Year competition. We will be present in Bern next month to attend the ceremony and, either we win or we lose, we will enjoy and have the chance to meet lovely people.